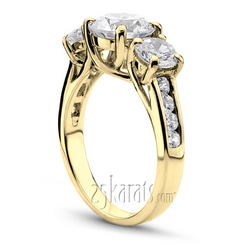 This trellis setting three stone diamond engagement ring is also furnished with channel set diamonds on the shank. 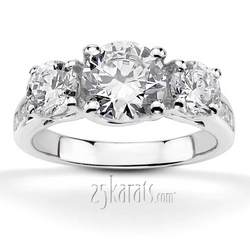 The stunning ring features sparkling 0.94 ct. tw. round diamonds. 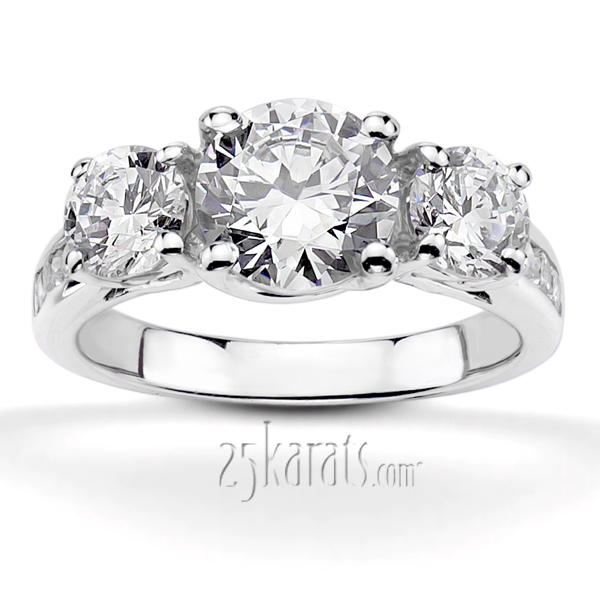 Center can be set with 0.65 ct. - 0.85 ct. round diamond range. 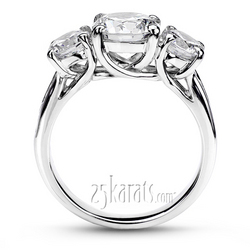 Setting is available in 14k, 18k gold, platinum and palladium. 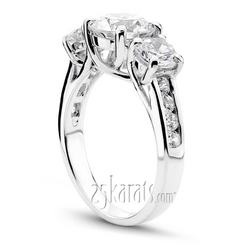 Carat Weight / Size (each): 0.35 ct. / 4.5 mm.